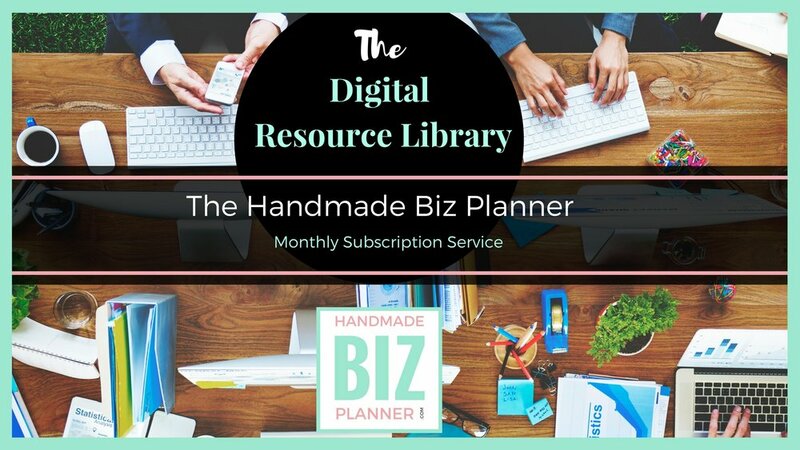 The mission of the Handmade Biz Planner is to create the 'go to resource' of actionable information for handmade business owners. These resources are designed to help creative business owners get more organised, productive and inspired on their business development journey. To support this mission I have created the 'HBP Library' which provides a variety of printable planners, worksheets and dashboards to help you get your business systems in check. If you are a fan of managing your tasks electronically, check out the dashboards created using Trello to copy and paste and make your own. All planners and worksheets are available in a PDF format. Also get FREE access to the electronic planner Dashboards used in Trello. It is a monthly subscription, so you can come and go as you please. Or purchase a block subscription and save by emailing here. Can I gift this subscription? Choose from a 3, 6, 12 or No expiry option payable by CC or PayPal. How often do you update the library? The library is updated each month. Will you please notify me when something new is available? Yes certainly, make sure you are on the HBP mailing list by adding your details here. I have an idea for a worksheet / template that would be useful for my business, can you make it? I noticed the subscription payment is in USD. So if you make your payment from another country, please be mindful of the exchange rate.